← Mirzya sacrifices sense for style. That’s the real tragedy! It’s fascinating to discover links of our lives at the movies. This week I found mine in Sushant Singh Rajput’s irresistible depiction of small town action in an active cricketer’s biopic and recollection of a star-studded shooting in the neighbourhood I grew up. As soon as Rajesh Sharma’s character appears on screen and utters as much as a word, another comes out of my husband’s mouth — Banerjee! There’s not a hint of conjecture in the tickled tone of his abrupt interjection, familiarity breeds such faith in oneself. The significant other instantly identifies Sharma as Banerjee, the sports instructor at DAV Jawahar Vidya Mandir even before it’s revealed to the audience of MS Dhoni: The Untold Story. You see, Dhoni’s school happens to his too. All through its charming Ranchi portions, he proudly points out at the huge campus, his beloved school uniform, the playgrounds that weren’t so neatly mowed back then, the incredible greenery of Shyamali, the typically sarkari ambiance of MECON office. He left Ranchi decades ago. I’ve never been there. It’s nice to make acquaintance through his eyes and Neeraj Pandey’s against the film’s most heartfelt bits. Except its obvious insecurity in zealously obscuring any weakness or controversy and focusing single-mindedly on the glorious chapters robs the film of character, renders it dull. Ostensibly, it’s tough being a ticket collector of a small town but a cakewalk representing Team India in international cricket. Whatever potential the curious Dhoni-Yuvraj Singh encounters have is left unexplored. A pity, because Sushant Singh Rajput’s performance is pure awe-inspiring, give him all the awards already. Bottomline: MS Dhoni’s Untold Story is hard to dismiss, harder to root for. I am watching Simi Garewal’s Melbourne Rendezvous with Rishi and Neetu Kapoor on YouTube. If you haven’t already, you should. Parody the prim and proper talk-show hostess or her trademark white dress code all you will but Simi has a way of making the most intimate inquires with her celebrity guests. All through the fun session held before a live audience, the Khel Khel Mein duo rib each other about their marital ups and downs, dating days and parenting style. Mention the topic of son Ranbir though and the Karz hero admits to a growing communication gap. “Maybe I don’t have the skills,” concludes a crestfallen Rishi. What’s your favourite song from a film directed by Yash Chopra? Every now and then I like to find out the likes and dislikes of my fellow movie buffs. Posting such queries on social network sites accomplishes this purpose splendidly. As the bona fide King of Romance, Chopra’s creations are obligated to serve a heady dose of melody and poetry. Needless to say, the late filmmaker and his keen ear for music never disappoint on this front. Surprisingly, it’s not Kabhi Kabhie‘s celebrated title song that basks in most love. The younger listeners cannot get over the sublime melancholy of Veer Zaara. The more discerning ones swear by the range of songs in Waqt and Daag. Of course, there’s no less craze for the soundtrack of Chandni, Lamhe or Darr. Neela Aasman from Silsila gets my vote. Amitabh Bachchan’s rendition of the Shiv-Hari gem is perfectly emblematic of Yashji’s ideas of amour, leisurely courtship and head-in-the-clouds condition. It’s Throwback Thursday with Bollywood. 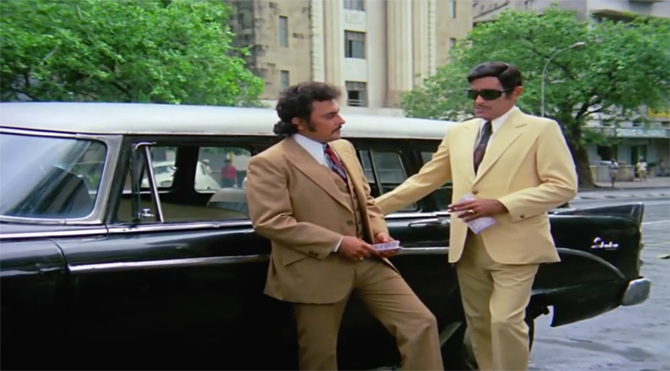 Look beyond the leads, Sudhir and Iftekhar are all kinds of swag in this scene from Deewar leading up to my favourite dialogue later in the film: Main aaj bhi phenke hue paise nahi uthata. One of these days, I plan to curate Iftekhar’s suave fashion sense for you. I am at an early morning screening of Rakeysh Omprakash Mehra’s Mirzya. The disappointing attendance doesn’t faze me. Films have a way of attracting audience if they’re really worth their time. Despite the breathtaking visuals, Mirzya isn’t one. In the end, we’re left with people ‘we never care about in life or after’ even though the heavily passionate soundtrack strongly pleads their case. What I liked though is Harshvardhan Kapoor’s low-key approach to a character previously essayed by two more Kapoors in 1947 and 1957 adaptations of Mirza Sahiban. If Trilok, Prithviraj Kapoor’s younger brother, plays the doomed lover with comic urgency, his nephew Shammi doesn’t quite convince in his unmistakably Yahoo body language for a role that requires heft. Irrespective of Mirzya‘s fate, I am hopeful about Harshvardhan. I usually have a good feeling about actors who gradually unravel on big screen. No matter how many times I watch Chaalbaaz, its kitschy sensibilities never fail to entertain. More importantly, a delightful double role underscores the might of Sridevi at the peak of her stardom in 1989. While watching its terribly overblown climax on TV, I am not so amazed at how Sunny Deol and Rajnikanth are single-handedly taking on a never-ending supply of Anupam Kher’s henchmen but at the growing lump in my throat watching mousy Sri forced to gulp down poison even as feisty Sri promises aid. This is the sort of film where you know nobody dies. But Sridevi is not a lazy actress. She doesn’t let you take comfort in assumption. Her distress is so intense, tangible and melodramatic, it’ll not stop till the viewer is fully convinced of her anguish. They just don’t make them like Sri any more. My brother’s seen and helmed too many shootings since then to remember or share my enthusiasm for this specific memory. On prodding further, he offers a few clues. The most helpful one: it’s the last scene. If you’ve read this space, you’ll know how much I enjoy looking up for such trivial details. Mithun and Madhuri haven’t collaborated on anything truly memorable except Prem Pratigya, which earned them good reviews. As it turns out, it’s not Prem Pratigya.Not Ilaaka either. Eventually, I learn the film is Umesh Mehra’s Mujrim and in the said scene, a fresh out-of-prison Mithun along side Madhuri, Johnny Lever, Suresh Oberoi and Pallavi Joshi assemble around Nutan’s bust to pay tribute. Cut to acknowledgments, the mention of Hari Rattan Society removes any room for doubt. A whole day was spent to shoot this 30-second scene featuring a huge crowd of locals around the stars. My brother is a part of this faceless mass. All I remember is he got the firing of his life from my mom for skipping school while I simply sulked for being too young and missing out. All the more on learning he shook hands with Madhuri Dixit. A decade or so later, I did too. Applauding NTR’s Superman on screen! 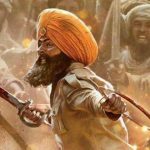 Udta Punjab, worst casting decisions, and naheeee…! Of warring Khan bhakts and meeting Mogambo! OCDing on Neetu Singh’s LPs! 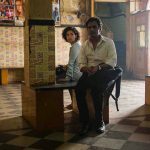 This entry was posted in Columns & Reviews and tagged biopic, chaalbaaz, column, cricket, dav jvm, deewar, harshvardhan kapoor, iftekhar, madhuri dixit, mecon, mirzya, mithun chakraborty, ms dhoni: the untold story, mujrim, neela aasman, neetu singh, ranchi, rendezvous, rishi kapoor, shyamali, silsila, simi garewal, sridevi, sudhir, sukanya verma, sushant singh rajput, weekly, yash chopra. Bookmark the permalink.